Have you ever considered the fact that there is another hidden abuse? Financial abuse is something that I have experience with, and since I was asked to share my personal experience with you by The Allstate Foundation as part of this sponsored post. Knowing How to Recover from Financial Abuse is something I hope you don’t have to use, but am happy to share so you have knowledge if needed. Allstate Foundation Purple Purse is a program that is dedicated to helping those who have suffered from financial abuse. Unfortunately, 99% of domestic violence situations also include financial abuse. This insanely large percentage means that almost every man or woman leaving a violent and abusive relationship will do so with limited funds if any. As I share with you ways to recover from financial abuse, I am also going to share with you some of the problems that I personally encountered during years of abuse. 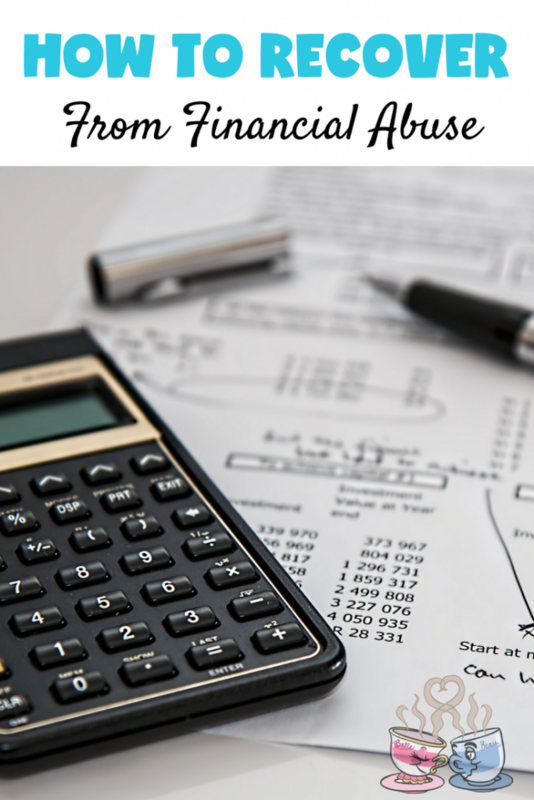 7 years after my divorce, I still see financial issues that are related to my marriage. While not all of the problems in my finances are directly related to abuse, there was a standard set that created further issues. I have only just fully learned how to make wise decisions with my finances. Separate your financial records as fast as possible. Once you are free from the abusive situation you were in, then you need to take a long look at your finances. One of the most important things to do immediately is to make sure your name is not connected to theirs. This usually happens during the marriage, and in some instances has to wait until a divorce is finalized. Things to consider are vehicles, property owned, rental or lease agreements, and store credit cards. There are hoops to jump through when you have joint accounts, and that often means you need to have one of you able to take over the account and promise to pay in full. In my case, we had few joint items. However, in our divorce paperwork, I had to make sure our home, property, and vehicles were properly managed and my name removed. Another thing that took over a year to finally remove was my name from my ex-husband’s personal property taxes in our state. If you aren’t sure where to begin, refer to your attorney that handles your divorce. If you are not married, this likely won’t be an issue you need to be concerned about. Contact any creditors immediately. Not only do you want to remove access to your own accounts, but you also want to update things like your address and any pin number associated with accessing your accounts. If you find yourself leaving with no ability to pay your bills, contacting immediately is a must. 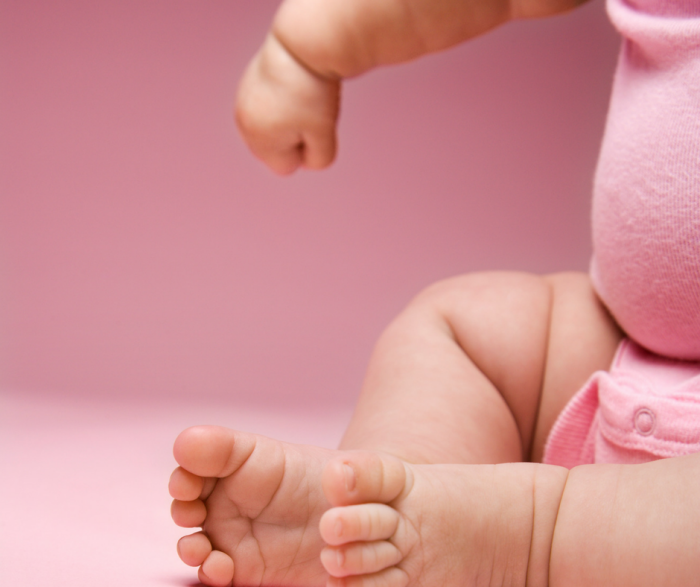 Many creditors offer payment plans, delayed payments, or other options. Letting them know you are in a financial disability situation will give you a better chance of not having poor ratings on your account. Seek grants and assistance available in your community. Allstate Foundation Purple Purse is a wonderful resource. Working with local organizations, they help raise funds to assist those coming out of domestic violence situations. You can learn more about Allstate Foundation Purple Purse on their website as well as seek out ways to donate and help if you are able. For those seeking assistance, you can learn more about them and who they work with via their website or their social media outlets (Facebook and Twitter). Allstate Foundation Purple Purse works with local, state, and national nonprofits to make sure there are tools to empower and assist those who have survived domestic violence. Depending on how you escape your abusive relationship, you may already have resources on hand to help. If not, look for local community organizations, churches, and groups that offer to help you get back on your feet. Many of these will help with setting up government assistance, housing placement, and even locating a lawyer that works for free to help you secure yourself and children from the abuser. 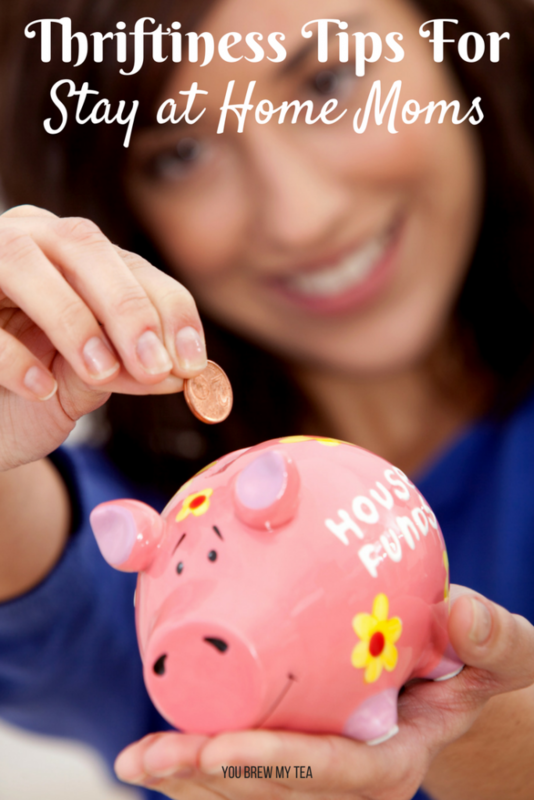 Make savings accounts a priority. 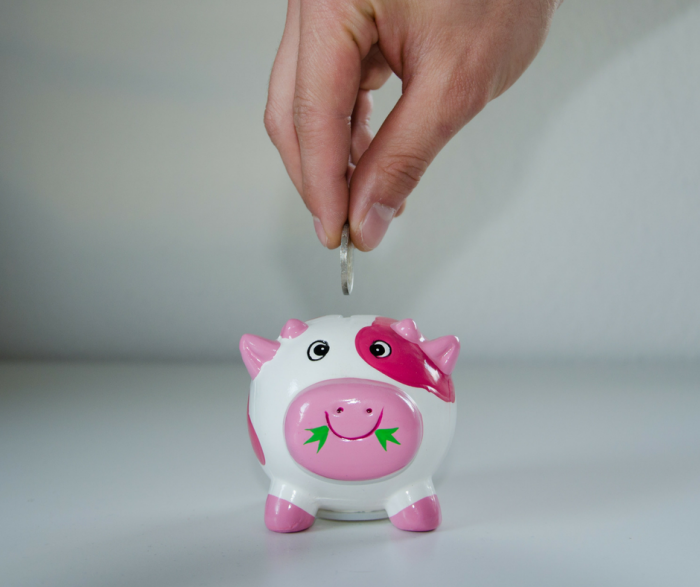 One of the most important things I can recommend if you are working to recover from financial abuse is to establish a routine of saving money. It is hard to make savings a priority when you have limited funds, but even a few dollars a month can easily add up over a few months. Saving money and having it set aside for a rainy day is a must for making sure you don’t fall into financial distress again. As someone who struggled after my divorce due to the financial burdens left by my ex-husband, I understand how tough that can be to move on from. Without a job, a source of savings, or resources you may feel afraid or as if moving on with your life is impossible. The truth is, there are always options and always people out there who can assist. Sometimes, it takes time and effort on your part to find those to help, but much like those who team with Allstate Foundation Purple Purse, there are many people and companies out there willing to help you to move past your abusive past and into a bright and financially secure future. About 7 years ago, I became an Amazon Prime member. I can tell you now, that over this time, I have found some amazing Family Benefits of Using Amazon Prime that I really needed to share! When I was asked to share about the new discounted Amazon Prime program for those who are receiving EBT benefits, I knew I had a lot to say. Amazon is a part of our daily life, so it is easy for me to help you understand more about the benefits of Amazon Prime in your life! First, I want to focus on letting you know more about this amazing new program. Amazon realizes that just because you are lower income doesn’t mean you shouldn’t have some of the same benefits of other Amazon Prime members. By introducing a discounted monthly price for those who have a valid Electronic Benefits Transfer (EBT) card, Amazon is opening up a whole new world of benefits. Everyone deserves a chance to take advantage of these benefits, and it also helps them save money in the process! Currently, if you qualify and have an EBT card, you are able to qualify for the discounted monthly program through Amazon at $5.99 per month. It is good for one year but can be canceled any time you need to do so. Qualifying customers can qualify every 12 months up to 4 times. This is a great way for anyone on EBT to take advantage of amazing Amazon Prime benefits! Bonus: When you sign up now, you get a Free 30-Day Trial! Great cost savings: One of the best things about shopping on Amazon is that it saves so much time and money. I can’t even begin to tell you how many times we have saved money using Amazon. One of the best deals we have found was recently when we replaced our bed. We knew we wanted a memory foam style mattress, but didn’t want the $1000 plus budget involved. When we shopped on Amazon, we found a great choice for 1/4 of the price! This is a huge saving that we needed, but that would also allow someone who is receiving government benefits to save money when their budget is tight. Free or low-cost eBooks: Using my Kindle App on my phone or online, I have access to tons of free e-books and even magazines. If you have kids at home that love to read, this is a huge money saver. We can download tons of eBooks that are both fiction and nonfiction. The Wee Child loves reading, and this has been a huge budget saver. There are a great variety of books available in all genres that are free all the time! Since we just moved, a lot of his favorite books are still in storage. Using the app to download eBooks has been a lifesaver! 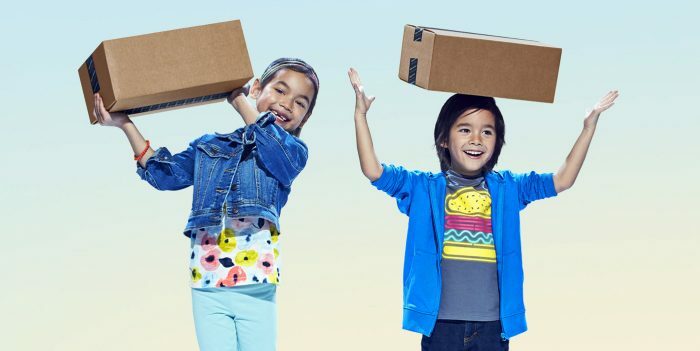 Prime Now and Prime Same-Day Delivery: Depending on where you live, an Amazon Prime account allows you to get your purchases delivered to your home within the same day! Some areas even have a 2-hour delivery option on tons of items! 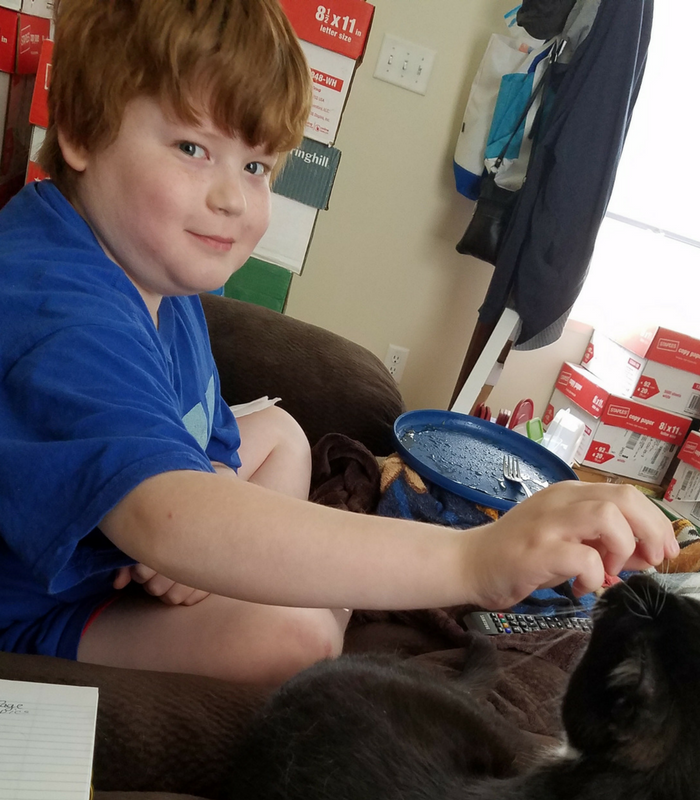 For a single parent needing to grab something for a sick kid, this is a great safer way to manage things like snacks, OTC medications, and more without having to leave the house! Prime Music and Prime Video: I cannot even begin to say how much we love this option. Not only can I watch a ton of my favorite movies and videos, but I can feel good about having educational shows for my son. We have fallen in love with Annedroids on Amazon, and love how educational and fun it is. There are tons of other amazing free options through Amazon Prime to educate or simply entertain. The Prime Music option is my personal favorite. I often need white noise to help me focus. Plugging my earbuds into my phone and opening the Amazon Music app is the best way for me to do this. From downloading great favorite songs to using the playlists and stations Amazon has on hand, I have found tons of amazing music available. Fast delivery: Prime 2nd Day shipping is so helpful! We honestly get 4-5 packages a week from Amazon and there is no way we could manage sometimes without faster delivery. This works great for replacing parts on computers, getting movies fast, or gifts just in the knick of time! There are tons of things like laundry detergent, soaps, and household supplies we also grab at discounted rates and see them arrive within 2 days! If you are hesitant about Amazon Prime, don’t linger! Now is the time to get set up with this amazing program. If you are currently an EBT card holder, check out the program to get Amazon Prime for only $5.99 per month! 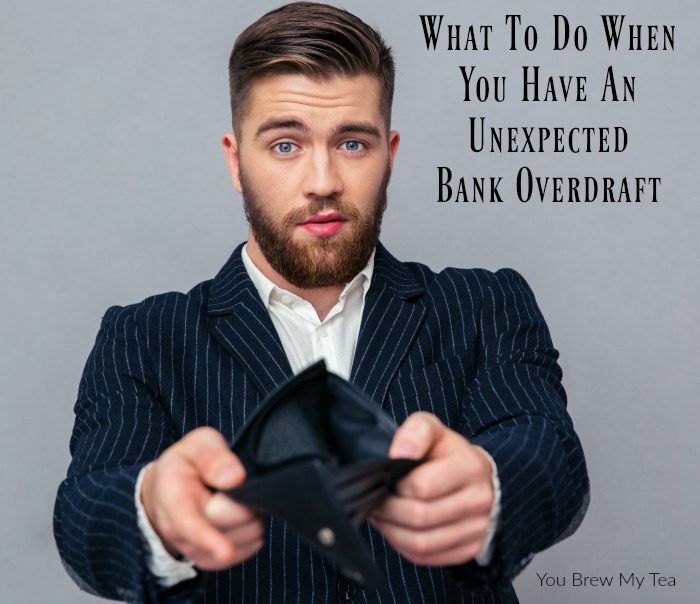 An unexpected bank overdraft is one of the most panic-inducing events you can experience. Your heart is pounding, you want to cry, and you have 5 days left until your next pay day. That feeling of sheer panic when you realize your bank account is in the negative is one we have all experienced from time to time. So, what do you do when you realize your account is in the negative and you don’t get paid for several days? Before you panic, check to make sure all the withdrawals and deposits have gone through correctly. Balance your online account with what you have on hand. Mistakes happen, identity theft happens, and sometimes things aren’t what they seem. So, take a look at your account to make sure the negative is accurate. A bank overdraft isn’t always your fault. Knowing that you have your information correct is the most important thing to do first. When your account goes in the negative, your bank will usually start charging overdraft fees. These fees can make the whole ordeal even more frustrating. However, as long as you don’t regularly put your bank account in the negative, your bank will usually reverse the fees. Make a call to the bank, explain what happened, and ask if they can reverse the fees this one time. Chances are they will reverse them which will make the process a whole lot easier. You may also want to inquire about what fees will incur if you do not get your account into positive by the end of business day. Unfortunately, many banks also begin charging not just the single overdraft, but also daily fees when your account is negative. Asking about this, as well as what other transactions may be set to post that day are important matters to make sure you have enough funds going into the account to prevent the roller coaster of damage a bank overdraft can do to your finances. If you know that there are other payments to post to your account before you will have the account back in good standing, make sure to call and reschedule. Sometimes you can’t, but in most cases you are able to reschedule or delay auto-payments. 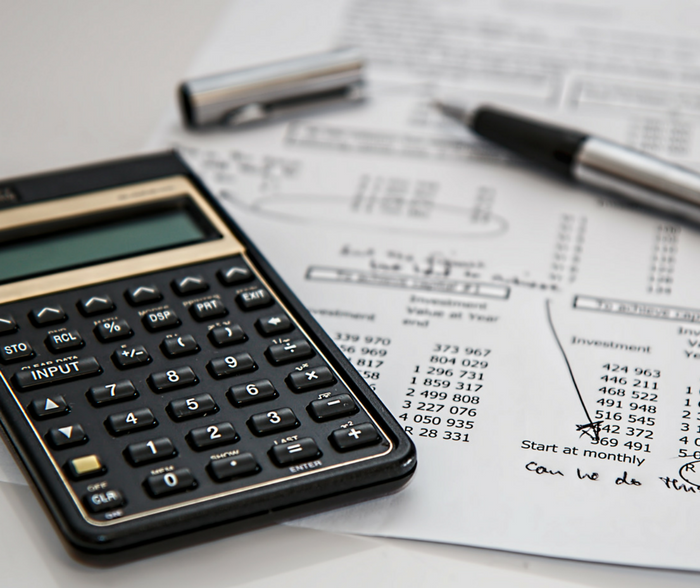 For outstanding checks, you will need to calculate those into a number of funds you need to come up with before your next pay day. This is the simplest way to make some quick cash to cover your account and the bank overdraft until you can make it to your next paycheck. The internet makes it easy to sell anything and everything in a matter of a few hours. Facebook garage sale sites make it easy to sell used clothing, games, and furniture. As long as you can get someone to pick it up or you can meet in the area, you can sell it. When your bank account is in the negative, rummage through what you have and start posting it on online garage sale sites, Craigslist, eBay, or Amazon. You may also go as far as looking at visiting a local pawn shop. Jewelry, movies, games, tools, and electronics can all get a nice amount of money when pawned or sold. Here are some tips from this blog as well as some of my best blogging friends for places and things to sell and make money. Some of these tips are better for short term money, while others are ideal for long term additional income. There are many different plasma banks around that will pay you to donate the plasma out of your blood. Although this isn’t a very pleasant experience, you can get cash in your hand the same day. In fact, first-time donations can get up to $50 on the very first visit. So, if you are strapped for cash, start looking for a local plasma donation center. Know that some health issues will prevent you from donating and that you may only be able to donate once per month. When your bank account is in the negative, you need money in a hurry. Ask your neighbors if you can mow their lawn, help them clean their garage, shovel their driveway, or some other task that will get you some cash in your hands. You can also do side gigs online such as write articles, take surveys, or do virtual assistant work. Look on Indeed or Craigslist for remote jobs. Many churches will help members of their congregation or community when in a financial predicament. Call your local church or place of worship to ask if they can help you out with your account. This money us usually given out of love and not required to be repaid. This is the last resource for dealing with a bank overdraft and negative bank balance. Nobody likes to admit they made a mistake, and it is even harder to ask someone for a loan. However, sometimes it is a last resort. If you are close to friends and family and know you will be able to easily pay back the loan in short order, don’t hesitate to ask for a loan. When your account goes into the negative, you may feel like the world is crashing in around you, but you have options. Just breathe! Take steps to prevent your account from going negative again. A bank overdraft can be a real issue, but you can work hard to make it better. Unfortunately, in most cases, you simply have to hustle to make sure you put more money into the account. The tips above are a great place to begin.